Total lack of meal planning last week but back on it and aiming to use up some lingering items from the bottom of the freezer. Can't believe we're almost in October. Time to put away my September Cookery Magazines and dig out the October issues. 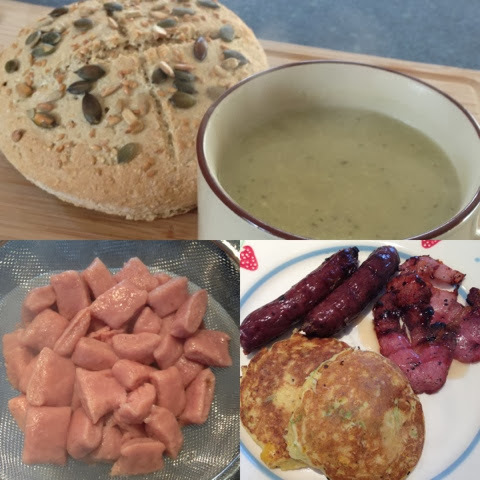 Quick pictorial round up of what we ate based on my last meal plan. Had a really busy weekend with a few foodie elements included along the way. 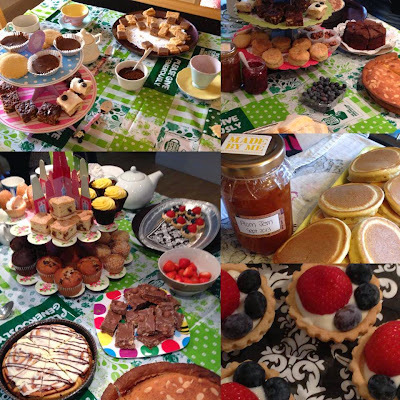 Brought along some pancakes and plum jam to a Macmillan Coffee Morning on Friday hosted by a friend. A fantastic array of cakes and bakes on offer and £300 raised for a very good cause. On Friday night we attended the VIP launch party for the Scottish Home Show. 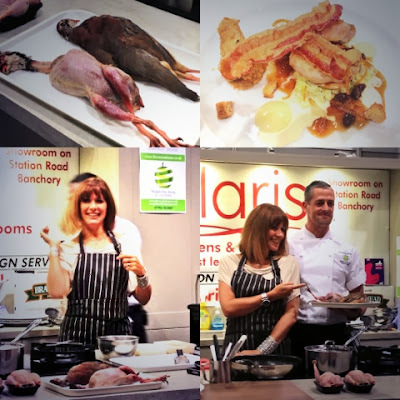 Great demo by local loon Kev Shand of newly launched Flavours At Home ably assisted by Smilley Smilley Carol. 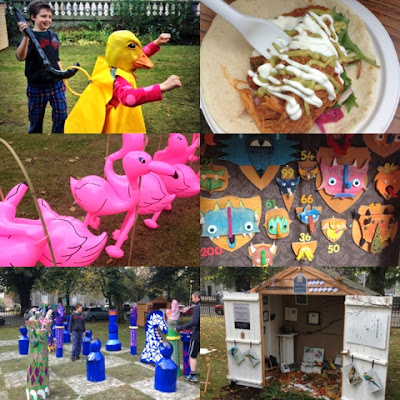 Fun and food in Rubislaw Terrace Gardens on Saturday at PLAYPark. Hullicinatory Zoo Mini Golf, Giant Chess, Pie Face, Crafty Sheds, Hoop Raaar, Hook a Duck and fab street food from EAT Beetroot including Venison Lollipops, Cullen Skink and Barbecued Pulled Pork Tacos. I am so behind with my blogging at the moment. Lots that I want to share with you but life is somewhat hectic. All good though and exciting developments afoot. However, I just had to make time today to share the contents of an email I received yesterday from the P5/6 Class that I've been cooking with. Their topic this term is the Caribbean and I spent two afternoons with them bringing some Jamaican sunshine to an otherwise driech week. On Tuesday two groups made Levi Roots Sunshine Vegatable Patties. Bright yellow in colour due to Turmeric pastry. Patties are the most widely available street food in Jamaica: the Jamaican answer to fast food. This is an ‘ital’ version – i.e. Rasta-style, meaning it’s meat-free. 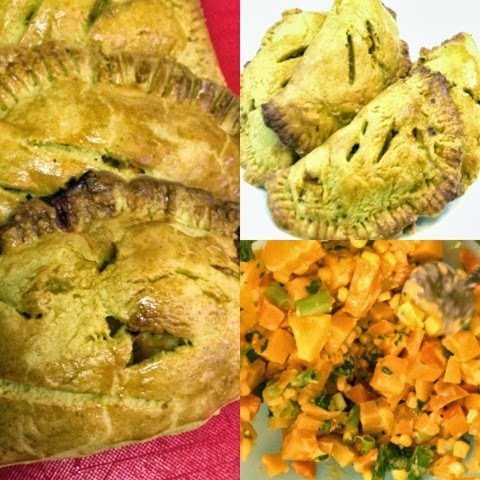 It uses bright, healthy veg and the yellow Jamaican patty pastry. The colour matches the feeling you get from the patties – like sunshine. 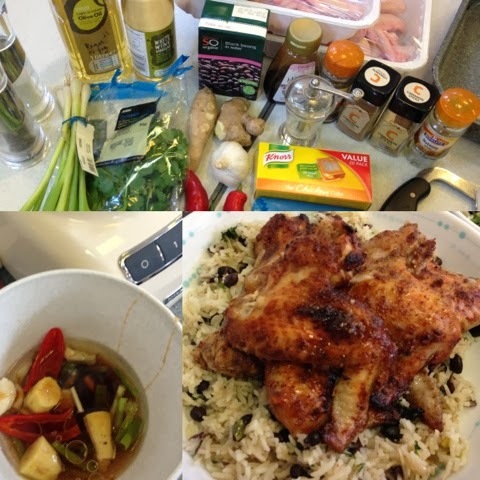 The third group waited patiently until Wednesday afternoon to make Jerk Chicken with Rice and Peas. 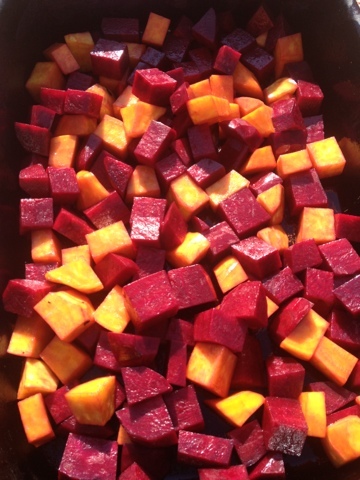 Here's how we made our Jerk Sauce. The Rice & Peas recipe is courtesy of Jamie's 30 Minute Meals. 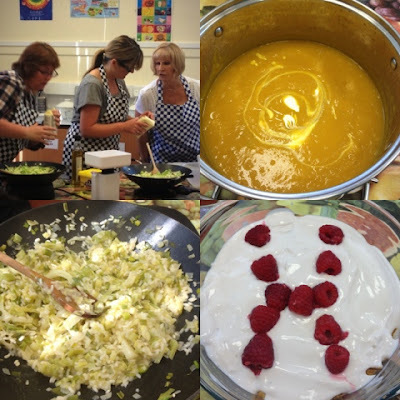 The whole class were fantastically enthusiastic in both their cooking and eating. They surprised themselves (and me) by eating every last piece of food made on both days. 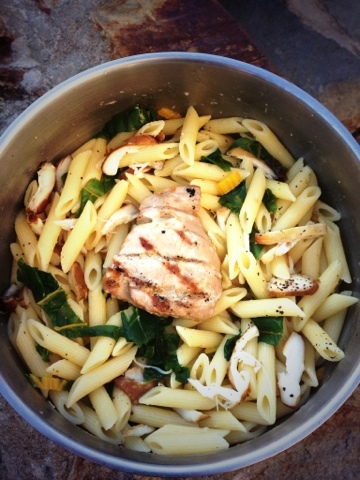 Amazing what hands on involvement in cooking can encourage kids to taste. I'm handing the rest of this blog post over to them to share what they learnt and enjoyed from the experience. 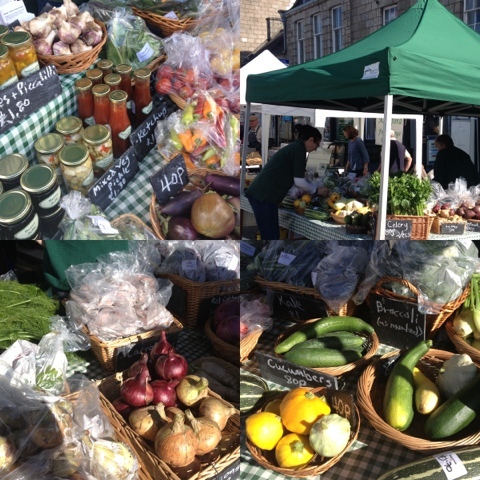 I get a lot of my veg and practically all of my eggs from a local farm Fernieflatt at Kineff in Aberdeenshire. They deliver twice a week and I tend to order similar veg week in week out. 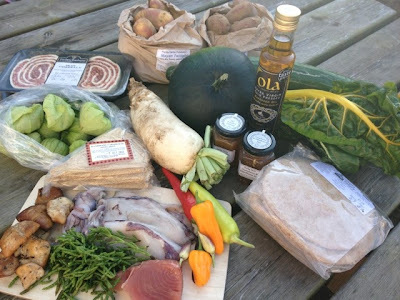 However a few weeks ago I couldn't find their price list and ordering details so I looked up their website and spotted a range of seasonal veg on offer so decided to order up a few items that I've never actually cooked with before. 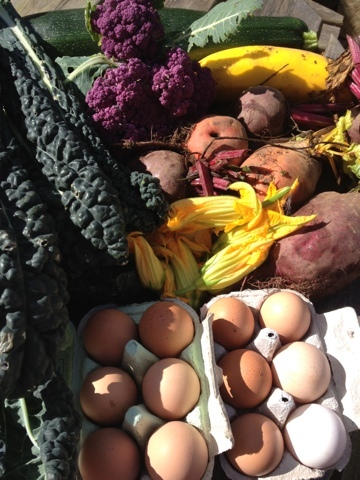 Cue a delivery of Courgette flowers, Purple Cauliflower, Yellow Courgette, Green Courgette, Golden Beet, Red Beet, Black Kale and a couple of dozen eggs from their fabulous Black Rock hens. With Fernieflatt Farm being only 13 miles down the coast from us it seemed a good opportunity to link this post up with a new blogging challenge hosted by Elizabeth's Kitchen Diary. 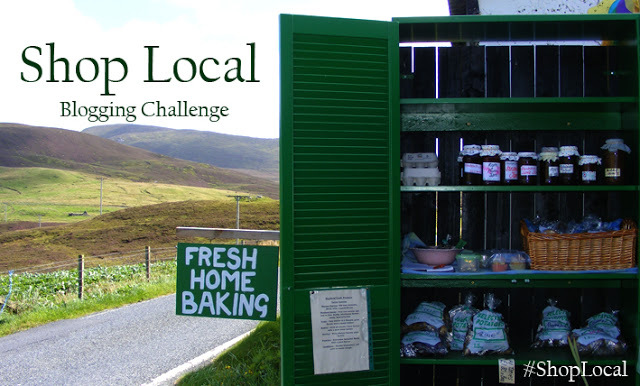 In her own words #ShopLocal is a brand new food blogging challenge to promote your local food producers and share your recipes using their produce. This is the place to showcase the wonderful foods available where you live, where ever you live, worldwide. The Courgette flowers have a very short shelf life so had to be used first. There was only one way to go. Stuffed and deep fried. I loosely based mine on this recipe but used mascarpone cheese, crab, lemon zest and chilli. Then deep fried in a beer batter. They were so fiddly to do. 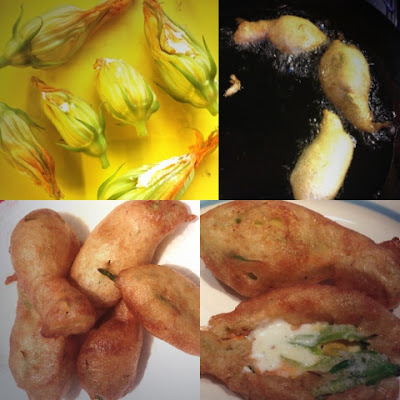 Life is indeed too short to stuff a courgette flower. Realised after the first couple that I would have been better to use a piping bag. 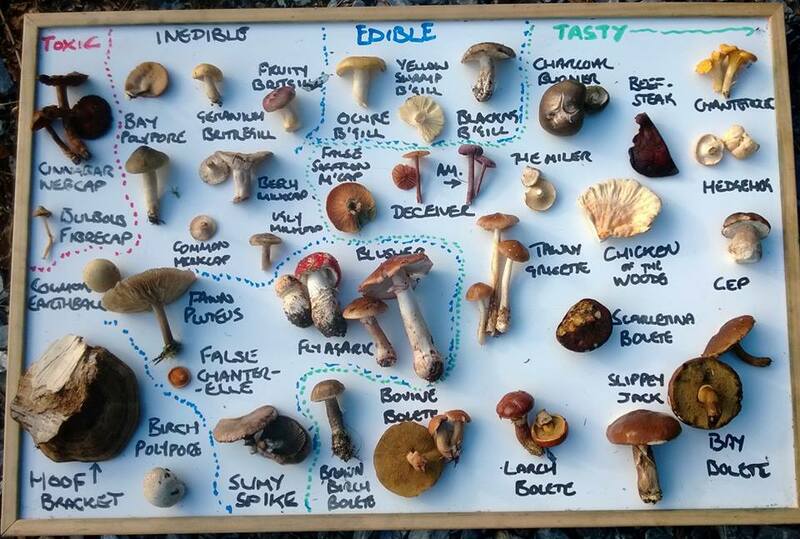 They actually tasted pretty amazing so perhaps life isn't too short for them after all. The remaining flowers were used to decadently top off a Three Cheese and Summer Vegatable Bake. 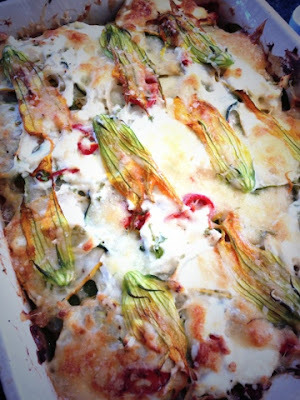 They made an everyday supper look oh so pretty and tasted fantastic alongside mozzarella, ricotta and parmesan. Courgettes themselves really lend themselves to vegetable bakes especially at this time of year when they have grown to gigantic proportions. 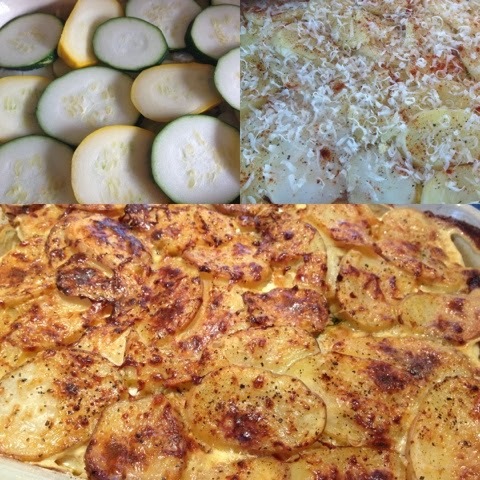 Here's my take on a courgette, potato and onion bake. Great as a veggie main or an accompaniment to something meaty. 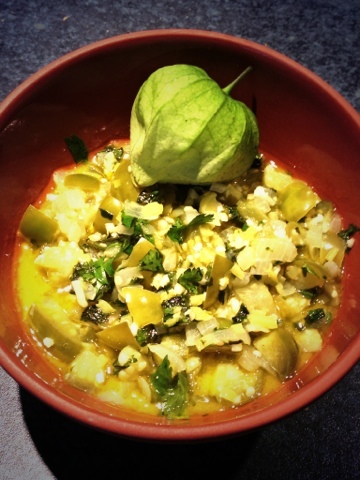 Alternatively give this recipe for Roasted Courgette a try. Saute onions and garlic in oil until really soft. Parboil sliced potatoes for 5 minutes. Layer up onion, courgette, cheese, potato and repeat. Pour over the Elmlea (or cream) top with grated parmesan and a sprinkle of paprika. Bake for 45 mins at 180 degrees. Golden Beets worked well on their own in a simple roasted veg side dish along with red onions, potatoes, fresh thyme a splash of garlic rapeseed oil and a scrunch of salt and pepper. I really must try growing my own beetroot in the veggie patch next year. 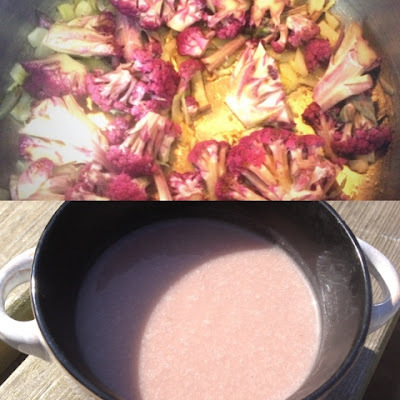 Purple Cauliflower next and this had such an amazingly vivid hue when cooking but alas by the time it had been converted into cauliflower, potato and cheese soup it looked somewhat sludgy grey. Still tasted good but lost its looks. 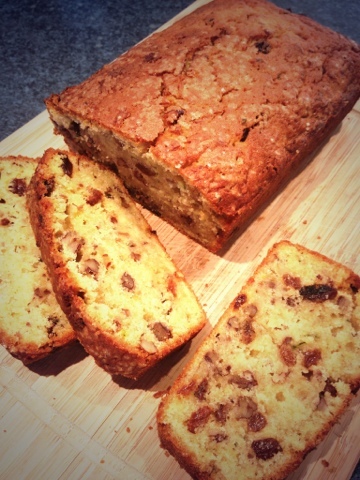 Lasty a sweet bake with courgettes which (along with beetroot) seem to crop up in a lot of cake recipes these days. Move over carrot cake. 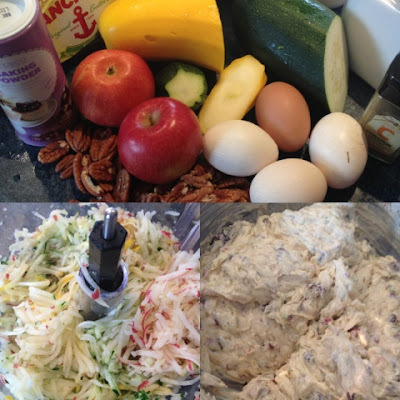 This was my first time baking with courgette and I opted for a Nigel Slater recipe for Courgette Cake with Apples and Pecans. I doubled up the quantities to make one for me and one to give to friends. They were somewhat sceptical when presented with a courgette cake but were totally won over with the first bite. Fantastically moist and tasty. Practically all of your five a day in cake form. This is a loaf I will make again and again. 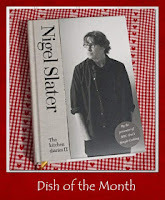 I'm linking up Mr Slaters Courgette Cake to the #DishOfTheMonth challenge hosted by Janice at Farmers Girl Kitchen It's the place to go every month for a round of of what seasonal Nigel Slater recipes bloggers have been cooking up. I've already noticed that I'm not the only one to have made the courgette cake as Dom from Belleau Kitchen has baked it too. Great minds. 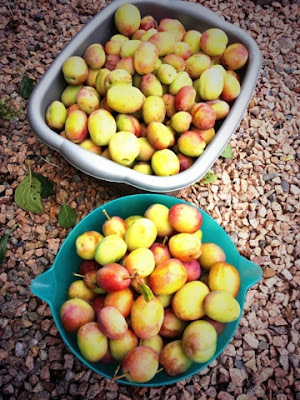 Two blogging challenges, lots of amazing seasonal and local vegetables and a couple of new ideas of what to plant in the veggie patch next year. Do investigate what produce farms local to you sell. I defy you to find such an amazingly colourful range in a supermarket. 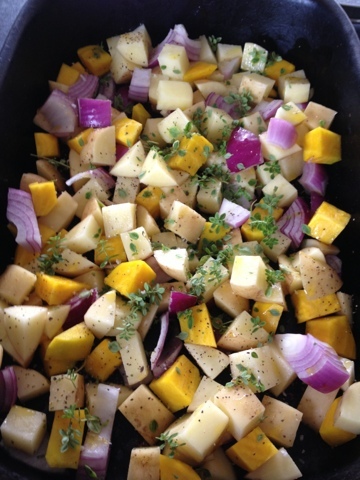 I've just ordered this weeks veggies and eggs from Fernieflatt and added Violetta tatties to my order. Purple skin and purple flesh. They have Rainbow Chard too. Puts a whole new slant on eating your greens. I've got a guest blog post for you today. From none other than my Mum. She is the original Foodie Quine as she hails from Aberdeenshire whereas I'm just an "in aboot comer". She's actualy much more qualified to blether food than me as back in the olden days (I'm going to be in trouble for that!) she trained as a Cookery Demonstrator. 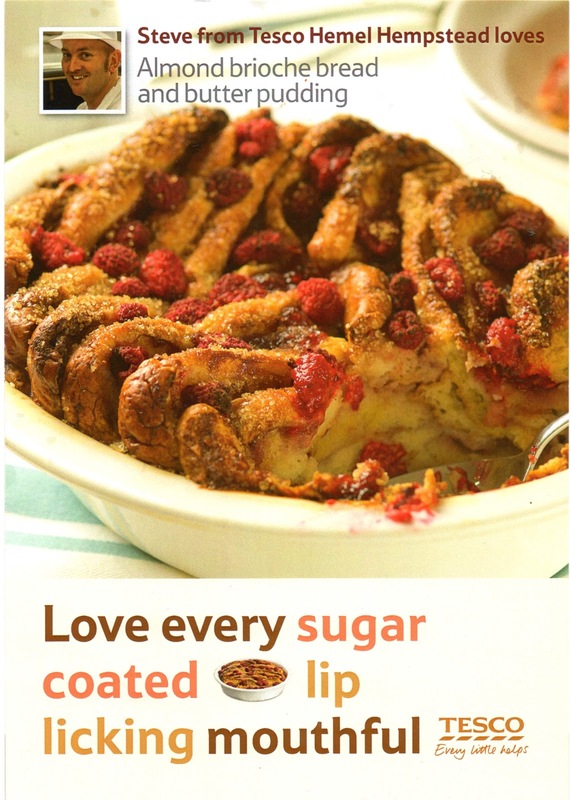 The same course that Mary Berry did. Claim to fame or what? 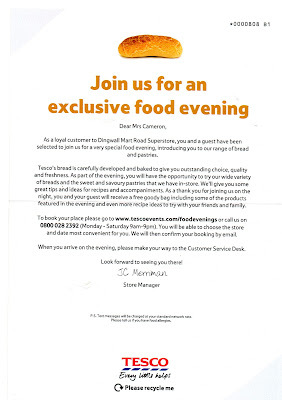 We all love to get an invitation, so when one popped through my letterbox inviting me to ‘Join us for an exclusive food evening’ from Tesco, how could I refuse! Apparently I was invited as a loyal customer and I could bring a guest and we would be introduced to their range of bread and pastries. I could choose the store and date most convenient to me and booking could be done on-line. Guest and I duly turned up at the appointed time and we were directed to the café area. Nothing much seemed to be happening until two young men and the store manager appeared and started moving tables and chairs around. Turns out our group was the first to have been at the six o’clock slot and there was a notice up to say the café would shut at six. The manager explained that normally for the 6.30 groups they were all set up and ready. Up to now they had only had three or four people attending and we were to be the largest group of fourteen. Turns out, only ten of us appeared. 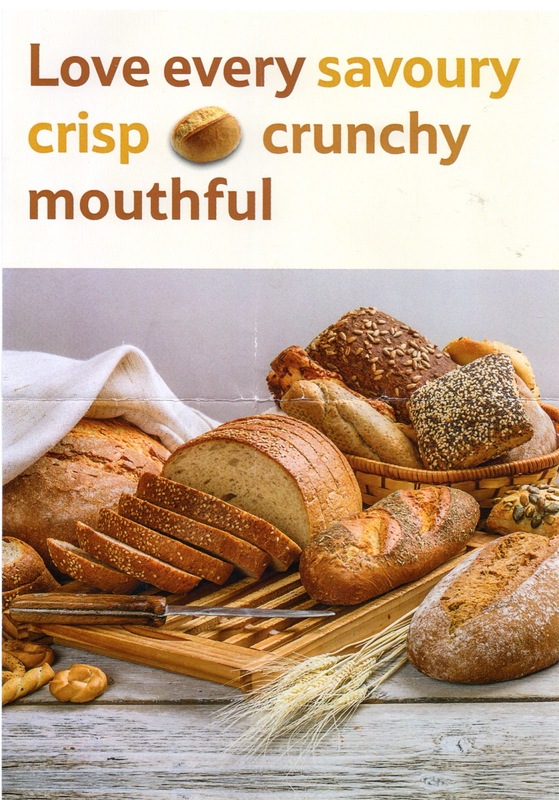 The talk was given with the use of a flip chart with photos of the bread/pastries they produce along with the types of flour. Most of us were surprised to discover that everything is baked on site from scratch. Following on from the talk we were taken, pied piper style, to the bakery. We did wonder should the leader have been carrying an umbrella just in case we got lost on the way! The bakery was not in operation as they were clearing up in readiness for the night shift so no lovely aroma of bread baking. Mind you, it would not have been possible for us to be there during baking hours. I would have loved to have had a go at the doughnut maker and the ‘hot plate’ for the pancakes was huge. I knew that you can ask to have bread sliced but I did not know you could ask for frozen uncooked croissants to take away and bake at home. This seems to be popular around Christmas time. Having completed our tour of the bakery we were escorted back to the café. There a sumptuous spread awaited us for tasting. There was a savoury table and a sweet table. The walnut bread was a big hit and the dough pretzel was something new to me. We had butter, jam, camembert cheese and a chilli oil dip as accompaniments. The sweet table was equally exciting but I only had a small piece of the tear and share sticky pastry. Soft drinks were also available. Then there was a short quiz, just for fun, which tested us somewhat. Questions which I can remember are : Who invented the sandwich? Some of us knew but they were impressed with my guest who could not only say it was the 4th Earl of Sandwich but that it was because of his gambling, he didn’t want to waste time by stopping to eat a meal. What did Otto Redwedder invent? We all looked blank. 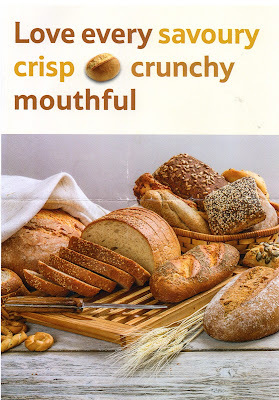 The manager said it was the best thing and we all shouted out ‘bread’. Close, he invented the bread slicer. Who invented the grindstone? The Egyptians. We were asked to fill in a questionnaire which didn’t tax us too much and whilst we were doing that they handed out goodie bags. My guest and I were most impressed with what we were given. We were slightly puzzled to see a packet of cornflour, almond milk and Demerara sugar included but it turns out all the ingredients, apart from eggs, were included to make the Almond brioche bread and butter pudding recipe enclosed. I made a half quantity of the recipe and it was delicious and I couldn’t have said I was aware that it included almond milk. 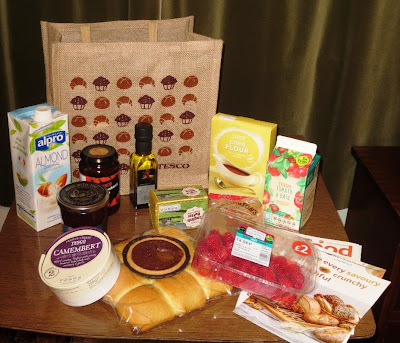 The other goodies were, raspberries, raspberry conserve, strawberry jam, brioche rolls, butter, camembert , tomato and basil soup, olive oil and balsamic dipping oil, chocolate and caramel tarts, a pretzel roll and a lovely Tesco hessian bag. I can fully recommend that if you receive one of these invitations that you accept. It was a thoroughly enjoyable evening. Sounds like an interesting behind the scenes event and I've been promised some of the contents of the goodie bag when the Grandparents visit at the weekend for Girl's Birthday celebrations. I couldn't resist checking the web address www.tescoevents.com/foodevenings just incase my own exclusive invite had got lost in the post, but alas the nearest store to me holding an event is 60 miles away. You might be luckier though so definately worth a check. The only condition according to the FAQ's is that you must be a clubcard holder. 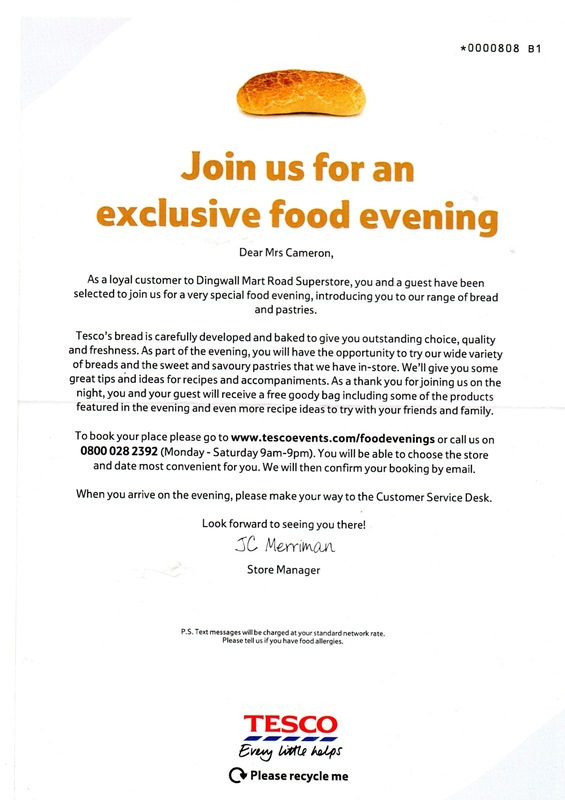 The FAQ's also say that not all Tesco Stores are currently hosting the Exclusive Food Evenings at the moment, however this may change in the future. Do let me (and my Mum!) know if you manage to book yourself a place as a result of this post. Another week over and the weather still doesn't know if its coming or going. Was disappointed that the Harvest Home Event we were planning to go to yesterday at The Store was cancelled because of the extreme weather hopefully it can be rescheduled. Busy week ahead as its Girl's 9th Birthday and she's having a Rock Star Party. More on that to come. Last week I made almost everything I said I would. Head on over to my Huntly Hairst post to see the The Minced Beef Pinwheels with Roasted Veg and the Tomatillo Green Salsa plus lots of other goodies from what was a fantastic Food and Farming Festival. 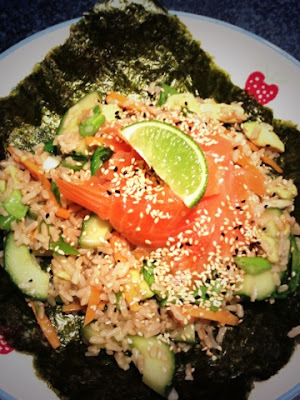 The deconstructed Sushi Brown Rice Salad with Smoked Salmon was fantastic as always. 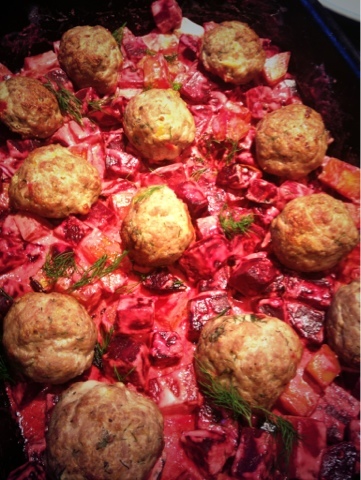 This is one of my favourite dishes at Giraffe and the recipe is in their cookbook. Such zingy flavours and a real kick from the wassabi and ginger. Black Pudding Pizza Bianco was a big hit. I guess it will either be a love or loathe thing but we absolutely loved it. 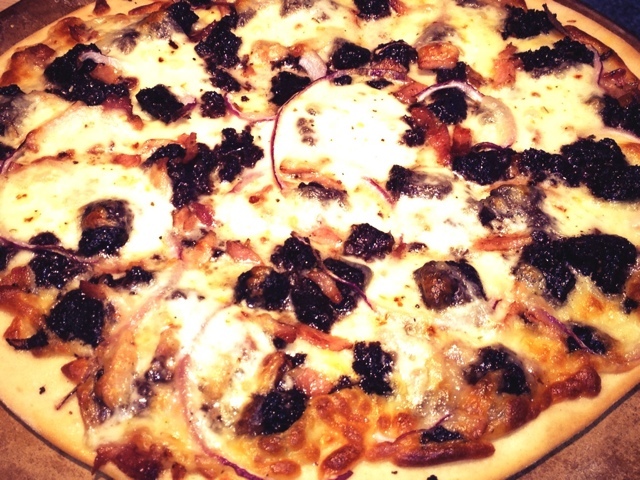 No tomato sauce (hence the bianco) grated Mozzarella, crumbled Stornoway black pudding, fried bacon bits, red onion, more mozzarella (sliced) and topped with a grinding of dried chilli. 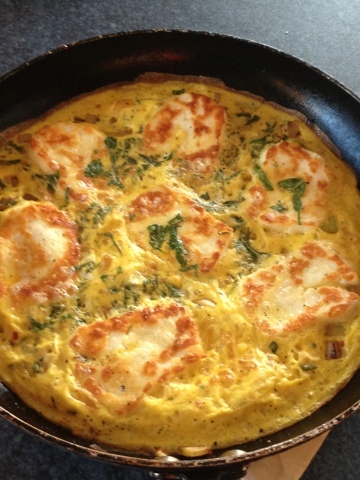 Squash, Halloumi and Chilli Frittata was a delicious Sunday Supper. 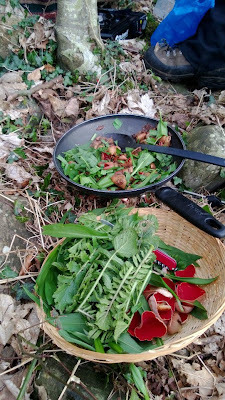 The squeaky cheese combined wonderfully well with mint and chilli. Alas the planned Mint Shortbread was put on the back burner. 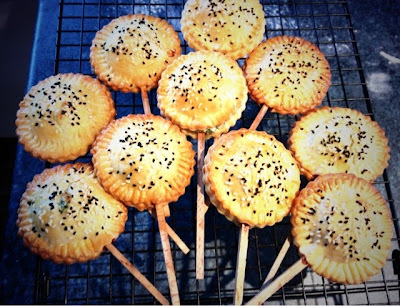 I completely forgot about the Pinnies and Petticoats Cake Club 1st Birthday Party so had to quickly russle up some pie pops. Blog post to come soon with those. More off plan baking at the end of the week when our Village Association requested donations of homebakes for a fundraising cafe. 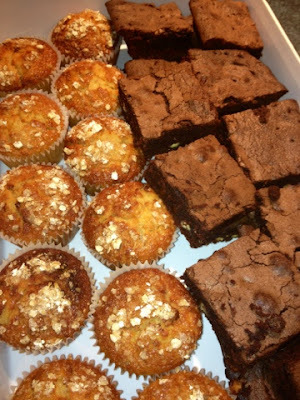 I threw together a batch of Marmalade Muffins and some Mary Berry Double Choc Chip Brownies. 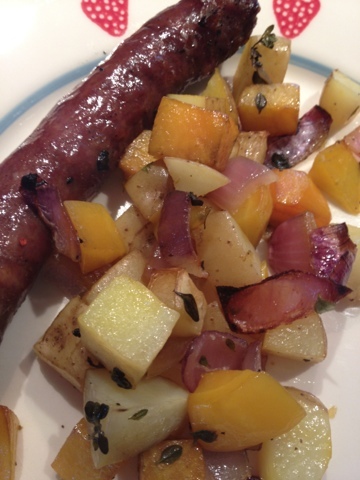 Did you spot a few plum recipes sneaking in to the meal plan? I've got quite a lot to use up thanks to a lovely friend who let me raid her tree. Thanks Lyndsey. I'm very excited about this post and an event that I've got to share with you. 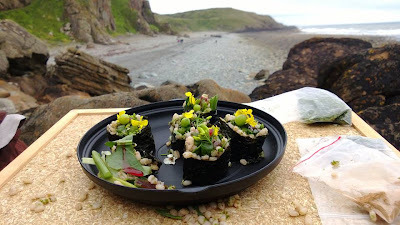 Following on from participating in a Coastal Foraging Walk at Crail Food Festival I've been investigating the possibility of doing something similar closer to home. To cut a long story short, what started as a bit of a pie in the sky idea is now actually happening. My first ever Foodie Quine event. 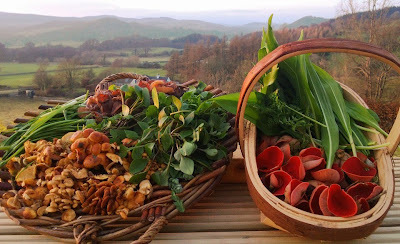 This is a very special opportunity to join expert forager Mark Williams of Galloway Wild Foods on a coastal and woodland foraging expedition in South Aberdeenshire. The exact location is as yet unknown. Mark will be visiting the area a fortnight prior to the event to choose the general location. 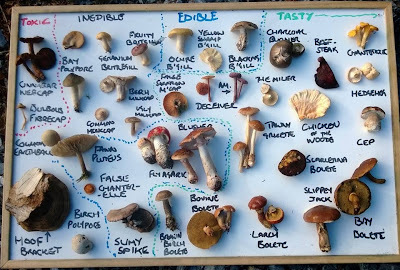 He will then do a detailed recce of the area the day before the event so that when he leads our forage the following day, he will be able to show us the very best of the wild foods that Aberdeenshire has to offer. 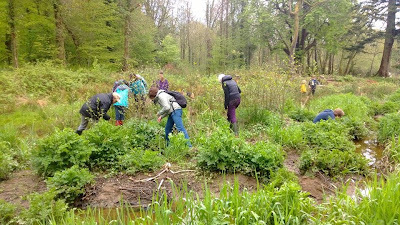 The Forage will take place no further than 20 minutes drive from the outskirts of Aberdeen in an easily accessible woodland area. It will more than likely be at Dunnottar Woods, Stonehaven. Exact location and meeting point will be confirmend a fortnight prior to the event. Expect to walk up to 2 miles, mostly on woodland path. Bring stout waterproof footwear, waterproofs, water and a small basket for your finds. 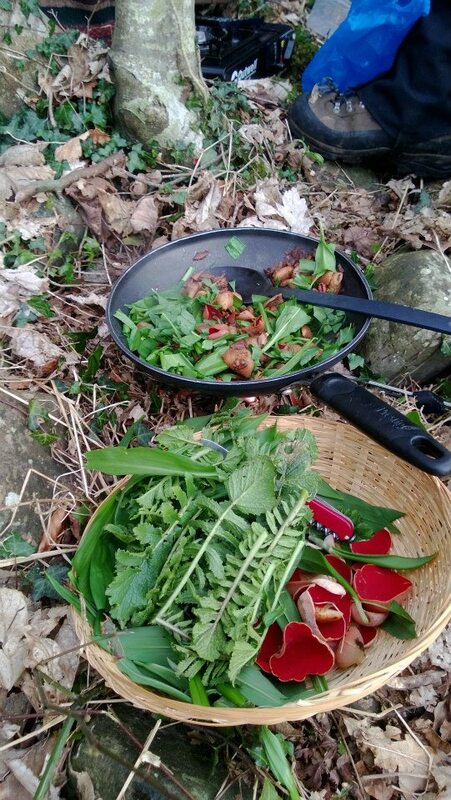 Mark Williams is a highly experienced and renowned forager with particular experience of woodland, hedgerow and coastal foraging in Scotland. He has led forays for the National Trust and the RSPB and has written cookery and wild food columns for a number of publications. 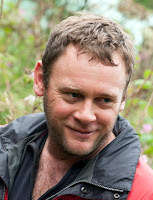 Mark has also consulted and appeared on several wild food TV programmes. Please sign up, tell your friends and spread the word. There are only 20 places available and its first come first served. If you have any queries drop me an email foodiequine@gmail.com and I'll be happy to help. It promises to be a great event. Hopefully the first of many. 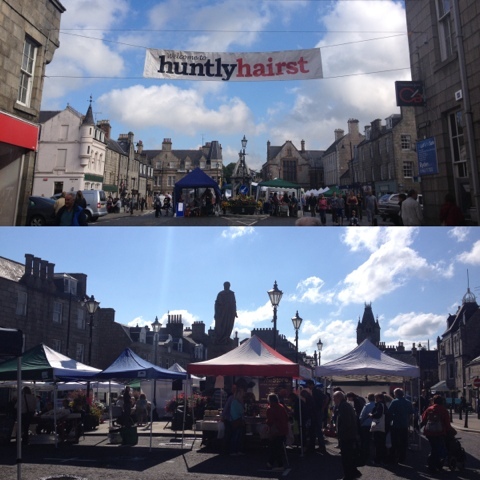 It was back in June at the Taste of Grampian that I picked up a leaflet for the Huntly Hairst. On paper it looked like it would be a great event and in real life it didn't disappoint. We headed up to Huntly on Saturday morning and traveled through a variety of weathers en route but the sun was shining on our arrival. 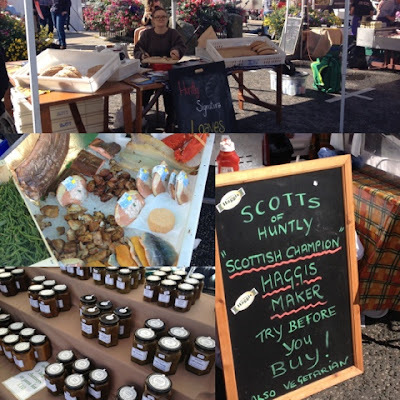 The square of this market town was the ideal setting with a host of interesting stalls making up an extended Farmers Market. 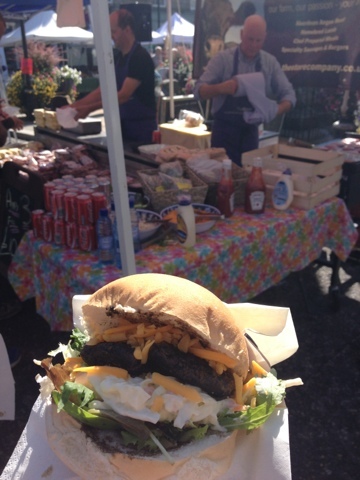 The perfect way to kick off Scottish Food Fortnight celebrations. I had foolishly forgotten to pack a coolbag and ice packs but stalls were more than happy to hold onto any purchased chilled goods until the end of the day for us. 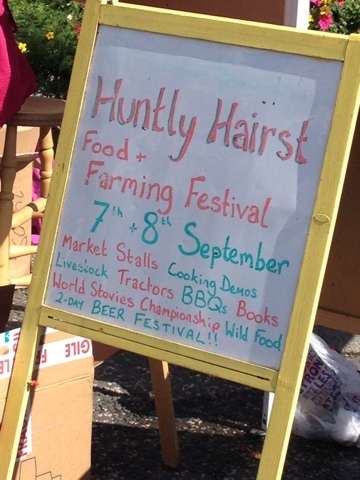 Our first stop was at Huntly Herbs where we bought pink potatoes, stripey potatoes and Elderflower & Gooseberry Jam. Then to Granite City Fish for some Smoked Monk Cheeks, Tuna, Squid and Samphire. Next stop was my absolute favourite stall at the market. I have never seen such an amazing range of wonderfully exotic and colourful vegetables as we found at Glenview. All grown in a market garden in New Byth of all places. 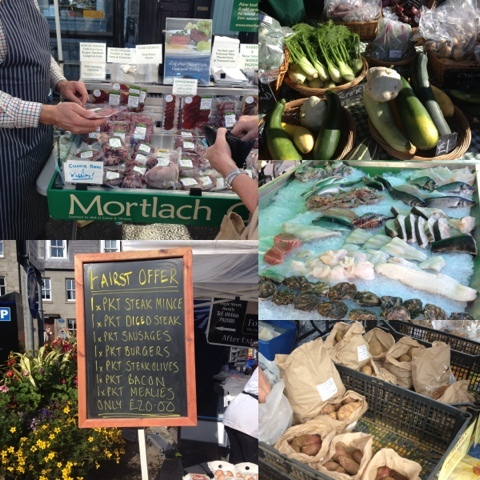 The fantastically friendly and knowledgeable stallholders answered all my queries. We left with a cucumber, chillis, tomatillos, yellow chard, squash and mooli. Boy and Girl were getting peckish by this point so we stopped off for a Dobab and some popcorn. Your eyes do not deceive you. 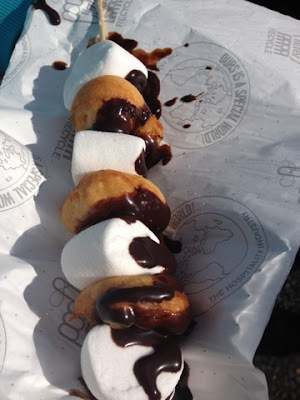 It is indeed a kebab with mini donuts, marshmallows and chocolate sauce. Many napkins were required. Time for a cookery demo and we headed to the community kitchen at The Linden Center for a Can't Cook Won't Cook event where the deputy heads of the local schools battled for supremacy. In just one hour they cooked a three course meal for four. Butternut Squash & Apple Soup, Green Risotto and Fruit Ginger Crunch. We got to try all the dishes at the end and vote on our favourites. Boy and Girl have both requested that we have a go at making the soup and the pudding. Time for lunch with a barbecued burger from The Store. 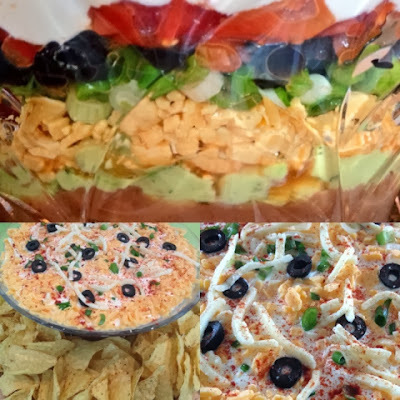 The grated cheese, creamy coleslaw and crispy salad leaves certainly beat a plastic cheese slice and a squirt of Tommy K.
Sustinance found it was time for another wee burl round the stalls to buy Pita Bread, Garlic Rapeseed Oil, Oatcakes and Minced Beef Pinwheels. It was thirsty work so time to investigate the Beer Festival. 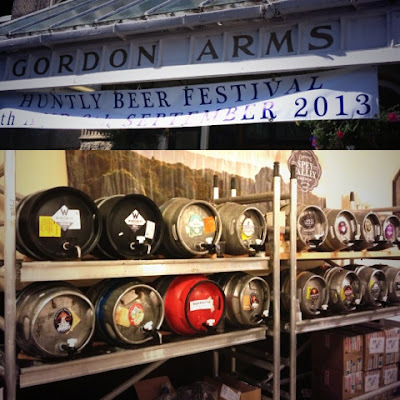 Twenty Two Beers on offer within the Gordon Arms. A great mix of Ales and Ciders on offer with something to suit everyone. I went for a Ginger Thistly Cross Cider and Foodie Loon had a Harviestoun Shiehallion. Boy and Girl had a blue slush. One of the main events of the day was the Fishy Tale cookery demonstration by local loon Kilted Chef Craig Wilson of Eat on the Green. He was accompanied onstage by Baukje de Roos of the Rowett Institute who gave an insight into all things nutritional. 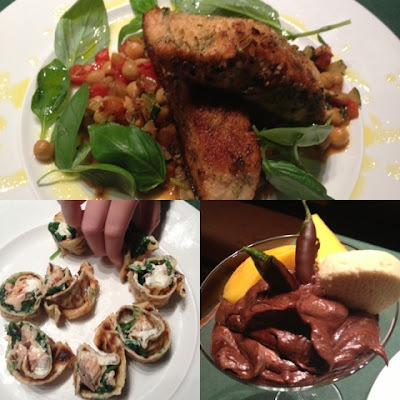 On the menu was a starter of Crepe filled with Hot Smoked Salmon, main was Sweet and Sour Salmon with a Deans of Huntly Shortbread & Herb Crust and Desert was a concoction of mango, chocolate, chilli, Cointreau and Rizzas of Huntly Ice Cream. 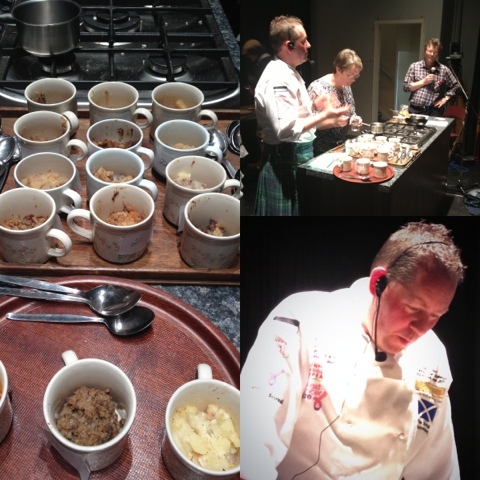 Following on from the demo was the serious business of judging the World Stovie Championship. Lots of entries in the traditional category but only three in the exotic After much deliberation between the top three the winner was announced with local lad Tom Foley taking first prize in both categories. 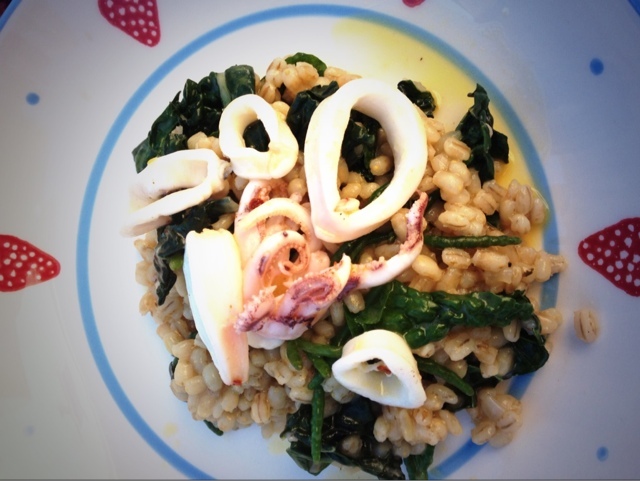 Squid & Barley. 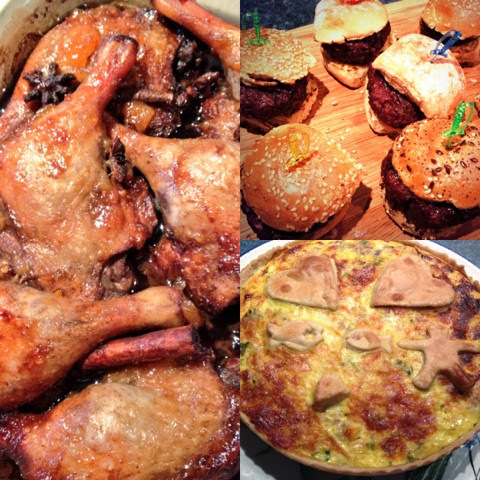 As cooked by 8 year old Laura Townsend for Raymond Blanc. 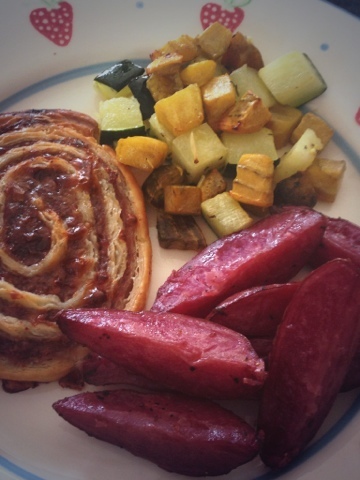 Minced Beef Pinwheels with Pink Potato Wedges and Roasted Courgette and Golden Beetroot. Still got lots of delicious goodies to use on my meal plan this week. Have been thoroughly enjoying my Elderflower & Gooseberry Jam on my toast to start the day. A real taste of Summer on an Autumn morning thanks to Huntly Herbs and Huntly Hairst. 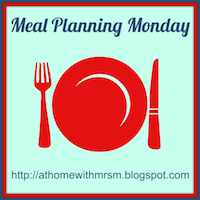 Meal Planning Monday. I've got my mojo back!